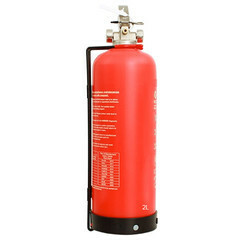 Providing you the best range of 6 kg powder composite corrosion free fire extinguisher, 2 kg powder med composite corrosion free fire extinguisher, 2 l composite corrosion free fire extinguisher, 2l foam med composite corrosion free fire extinguisher, 6l foam composite corrosion free fire extinguisher and 6l foam med composite corrosion free fire extinguisher with effective & timely delivery. Our clients can avail from us a large array of best quality 6 Kg Powder Composite Corrosion Free Fire Extinguisher. These products are made from high quality components. These new fire extinguisher employ design technology pioneered by the motor racing, defence, aircraft and aerospace industries ie. Airbus A380 and Dreamliners are constructed with 50% of composite materials. At the heart of their construction is a High – Density Polyethylene weaved Kevlar® body, extremely tough, yet incredibly light, fibre material from the Aramid family. 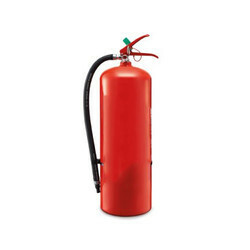 Kevlar® is also used in gas bottles, fire brigade breathing apparatus bottles, bullet-proof vests and fire-proof gloves. The MFCF10 extinguishers incorporate three elements – the loose weave, blow moulded inner body and a locking neck ring. Testing uses magnetic gauges for checking the operational pressure. The outer casing is made from High-Density Polyethylene, which is 100% UV protective. No service visits are required, no corrosion, no welding, no split linings, no degreasing, no shot blasting, no painting, no waste disposal, no danger of personal injury due to corrosion. 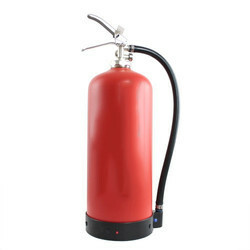 The most important features are, it is covered with 10 Years warranty and having 20 years of life cycle that eliminates huge costs on servicing, maintenance and replacements as compared to conventional extinguishers.